Magzter Gold 1 Year Free Subscription offer - Subscribe Magzter Gold 1 Year Subscription worth Rs.3999 at Rs.999 & Get Flat Rs.1100 GoPaisa cashback. So in short, you are getting Free Magzter gold subscription + Extra Rs. 101 Cashback on top. Enjoy reading the magazines and articles anytime and anywhere on iPad, iPhone, Android devices and the web. So subscribe now & Enjoy 1 year of unlimited access to 5,000+ Best-Selling Magazines and Premium Articles. Free Magzter Subscription Offer - How to Get Magzter Gold Subscription for Free? How to Get the Magzter Free Trial? What is Magzter Gold Subscription Cashback Offer? Enjoy 1 year of unlimited access to 5000+ best selling Magazines and premium articles for just Rs 999, actual worth is Rs 3999. 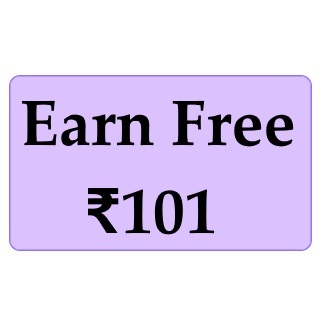 Buy Magzter gold subscription via Gopaisa and get Rs 1100 Cashback. Get Magzter Gold 1 year subscription for free on buying it using GoPaisa. Go for it, its the deal to steal. Do you love to read magazines and looking for a way to get free access to top magazines? If yes is your answer, an amazing free magazine subscription offer is waiting for you. Now, you can access more than a thousand best selling magazines via Magzter India. For this, all you have to do is to opt for Magzter gold subscription offer for free. Additionally, you can take Magzter 30 day free trial to have a look at the available magazines on the platform. Visit the Magzter gold subscription discount offer page. Select “30 days free trial” option. Now check your registered email address for the verification link. After the verification, you can enjoy the Magzter gold subscription for free. If you want to continue with the Magzter Gold Subscription after the trial of 30 days, go to Gopaisa website where the best Magzter gold subscription deal is waiting for you. To enjoy an unlimited access to more than 5000 best-selling magazines, books, comics, and premium articles for one year, avail the GoPaisa’s Magzter gold subscription cashback offer right away. At present, Magzter gold subscription worth Rs. 3,999 is available at a discounted price of Rs. 999. However, you can still make this gold subscription free of cost through Magzter gold subscription deal on GoPaisa. This cashback paying destination is giving a flat cashback of Rs. 1050 on your Magzter gold membership, which means you get Magzter gold subscription for free plus additional Rs. 50 cashback. No Magzter gold subscription coupon is required to avail the cashback offer. Seize the deal and start reading magazines on your smart devices. Magzter Gold 1 Year Free Subscription Deals, Magzter Gold 1 Year Free Subscription Offers, Magzter Gold 1 Year Free Subscription Coupons, Magzter Gold 1 Year Free Subscription Deals and Coupon, Magzter Gold 1 Year Free Subscription cashback, FREE Magazine Subscription offer, Magazine gold Subscription offer, magzter gold susbcription for free, magzter free trial, magzter india, magzter 30 day free trial, magzter gold subscription cashback offer, magzter gold subscription coupons, magzter gold subscription deals, magzter gold subscription discount offer.